In preparation for its 1,700-mile journey this summer, the Solar Car Team at Missouri S&T will unveil its vehicle to the community this spring. This year’s student-built car, named “Independence,” will be unveiled at 11:30 a.m. Wednesday, April 18, on the Havener Center lawn. The event is free and open to the public. The team will compete at the American Solar Challenge July 6-22. The race will span the country, with teams starting in Omaha, Nebraska, and following part of the Oregon Trail to finish in Bend, Oregon. The route will include stages and checkpoints at nine locations throughout Nebraska, Wyoming, Idaho and Oregon. The team with the lowest cumulative time between stages will win the competition. Before the cross-country challenge, teams must pass scrutineering during the Formula Sun Grand Prix. The track race acts as a safety proving ground for the cross-country race. Teams start the event with three days of technical and safety inspections, then move on to several days of racing. More than 20 teams will compete at the grand prix, but some of the teams might fail to qualify for the road race if they lack the required safety or lap requirements. The team with the most completed laps over three days will be first on the starting line for the American Solar Challenge. 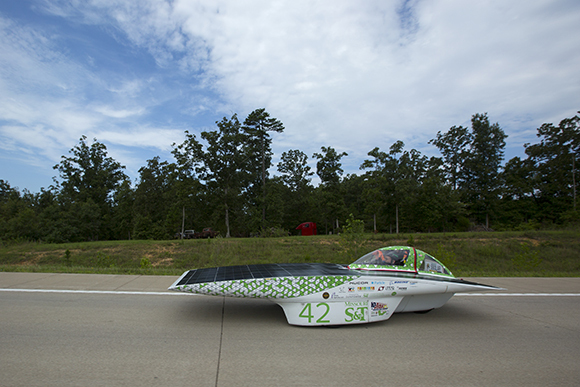 Missouri S&T’s Solar Car is an all-carbon-fiber composite vehicle with solar panels on the top. The entire car, including its electrical components, was designed and constructed by Missouri S&T students. Its steering wheel is designed similar to a Formula-One-style racecar’s, with many integrated buttons and controls. The Solar Car Team is one of 18 student-run teams in Missouri S&T’s Student Design and Experiential Learning Center (SDELC). The SDELC, housed in the Kummer Student Design Center, provides real-world team-based operations, including computer design laboratories, a manufacturing shop, office space and logistical support. Design teams mirror small start-up companies that plan large-scale projects, organize into departments, raise funds, communicate their ideas and solve open-ended design challenges. 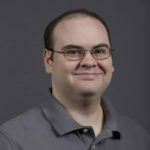 For more information about the team, visit facebook.com/SolarCarTeam.